 The test involves measuring ripening and decay in broccoli, using different parameters, both with and without the use of the product for delaying decay, while the vegetable is stored at 1oC. The tests were carried out on 4 boxes of broccoli (one of which was used for analytical quality controls, without the weight being tested), weighing approximately 5-6 kg per box, and stored in a refrigerated container at 1oC with 60% humidity. An initial analysis was carried out, then further checks were made after 2, 7, 9 and 11 days on the weight, colour and texture of the broccoli. In order to carry out this test, the following materials and equipment were used. Bróccoli: Broccoli from the company AGROPACO (Guardamar del Segura), produced in Spain. Filter: A KEEPCOOL filter was used to slow ripening and decay, and it was placed in an MCAM 200 machine with a germicidal lamp. Refrigerated container: The refrigerated container was equipped with a program to control the temperature, humidity and light levels. In order to carry out this test, a storage temperature of 1oC was used, with no changes made to the humidity. Texturometer: In order to measure the texture the compression force method was used. Colorimeter: The colour was measured using a Minolta CR-200 model colorimeter, with results given in CIELAB units.  Day 1 for comparison, broccoli with no filter (testimonial evidence) and with the KEEPCOOL ethylene absorbing filter. Day 11 for comparison, broccoli with no filter (testimonial evidence) and with the KEEPCOOL ethylene absorbing filter. 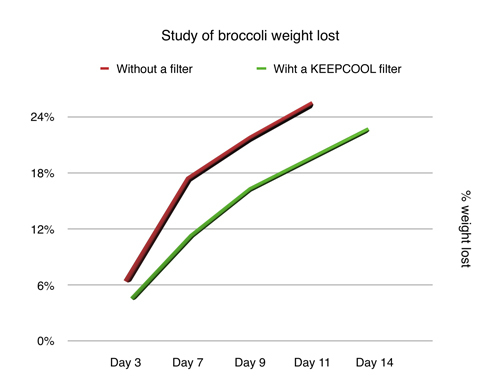 During the first 8 days the weight loss for broccoli stored with a KEEPCOOL filter was less pronounced (4.6%) than for broccoli stored without a filter (11.1%). 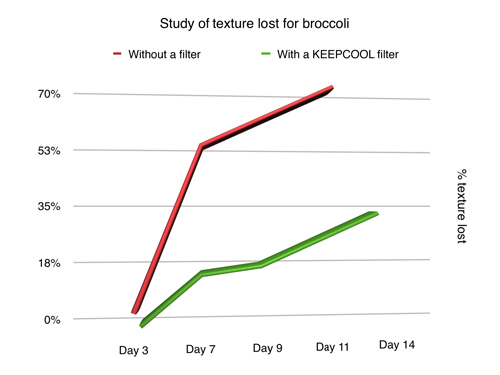 The loss of texture for the samples was less pronounced in the samples stored with a KEEPCOOL filter. The colour was better maintained in the samples stored with a KEEPCOOL filter.